My current thinking on the subject of a new Steve Tibbetts album that sounds pretty much like the last four Steve Tibbetts albums is: “Bring it on!” I suppose it would be different if there was anyone else in the world who sounded like Tibbetts, but there isn’t, so I’m content to let him keep making the same basic record every few years, at least for now. The basic things we’ve come to expect are here – the walls of guitar distortion, the ringing, off-kilter acoustic guitars, the thunderous percussion – with some slight twists, like the heavy processing done on some of the percussive sounds to give them a distant, tortured feeling. 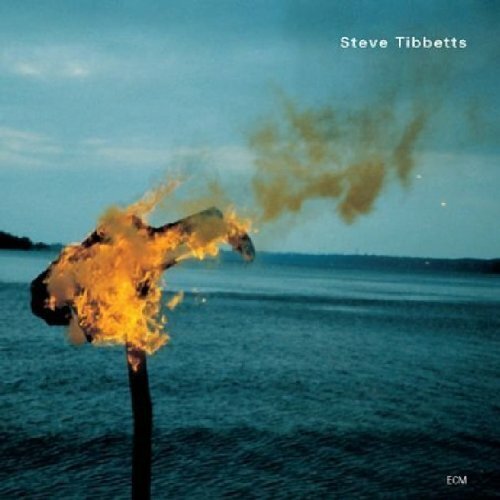 The mastery of soundscapes that Tibbetts displayed on Northern Song is incorporated into the fabric of this CD, providing a nebulous base that might be considered the equivalent of Robert Fripp’s Frippertronics, though what happens here is very different from anything Fripp ever came up with. I’ve always loved the combination of hammer-on techniques and string bending on acoustic guitar that Tibbetts puts to great use in many places, and his control of feedback is unmatched in the guitar world. He has a way of making the distortion part of the melodies that is instantly recognizable. Percussionists Marc Anderson and Marcus Wise have been working with Tibbetts since 1980’s Yr, and their contributions cannot be overvalued. The congas, tablas, toms, shakers, and other objects struck, shaken, and stirred makes this a feast for rhythm fans as well as guitar nuts.